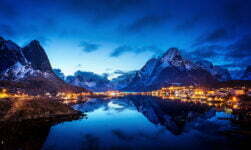 Ignored by many in favour of Lofoten, the nearby Vesterålen archipelago has a quiet charm. 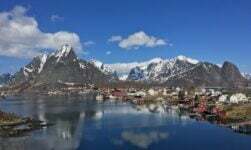 On my recent Moon Norway research visit to Lofoten, I took an unplanned detour north to the Vesterålen islands. 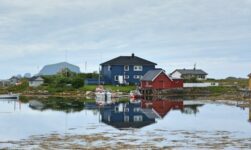 Unknown by many because of their much more famous big brother of Lofoten, the Vesterålen islands offer a similar experience yet without the crowds. While the peaks are not as ragged and the scenery not quite as dramatic, the islands are no less enjoyable and absolutely perfect for a road trip. Won't you join me for a quick tour? Let's go! 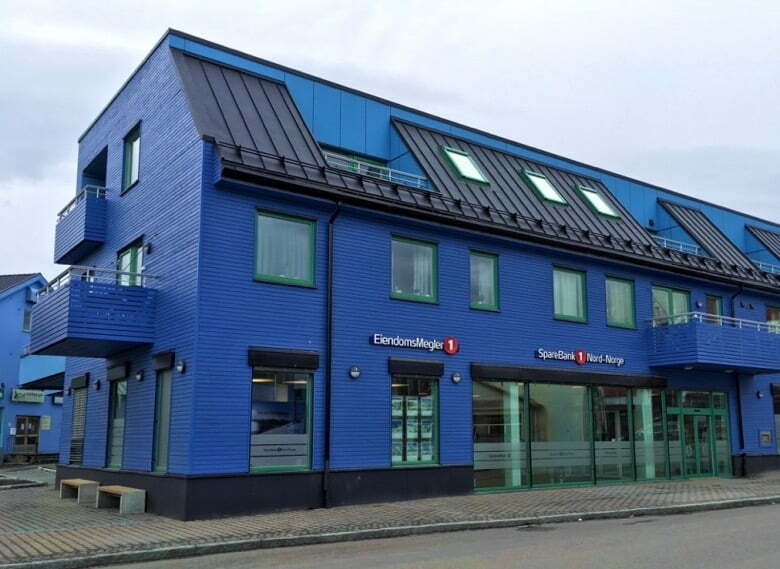 One of the first towns you come to (assuming you take the Melbu-Fiskebøl ferry from Lofoten) is Storkmarknes, the historical home of the famous Hurtigruten shipping company. 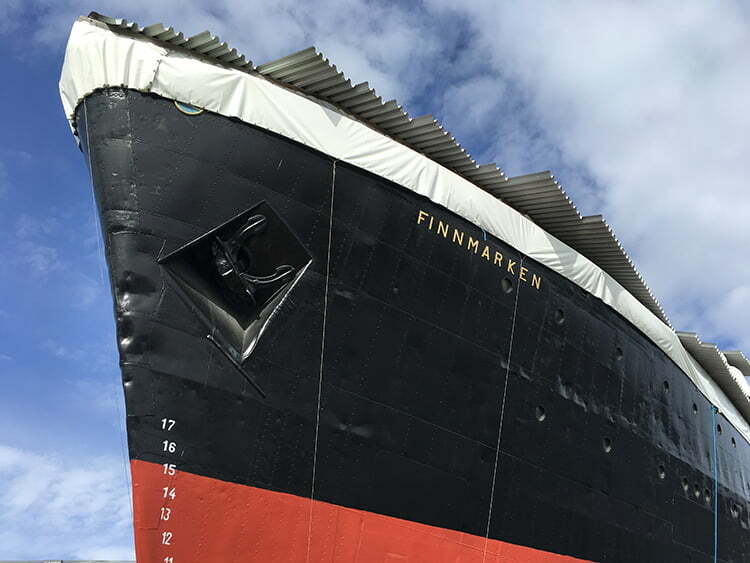 Today one of the original passenger ships, the MS Finnmarken, forms the base of the company's museum. Trust me, you can't miss it! 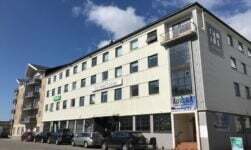 Similar to many small north Norwegian towns, Sortland is an ordinary looking place that simply provides accommodation and services in an area of outstanding natural beauty. There's never been much to see in the town itself, until one local artist decided to turn his home town into a three dimensional artwork using a blue colour palette. Read the full story here. 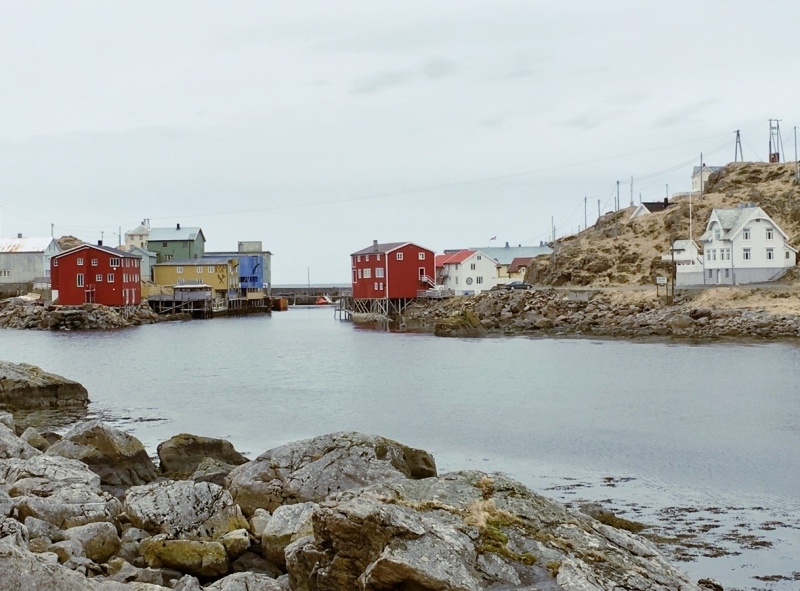 Just over an hour's drive north of Sortland is this curious fishing village. Abandoned in 1970 when the local fishing industry shut down, the village has recently enjoyed a fresh start with a number of entrepreneurs opening lodgings, galleries and cafes. It's still an exceptionally quiet place, so it could be just the ticket if you're looking for a peaceful getaway. The drive along the coastal access road is quite the experience, too! 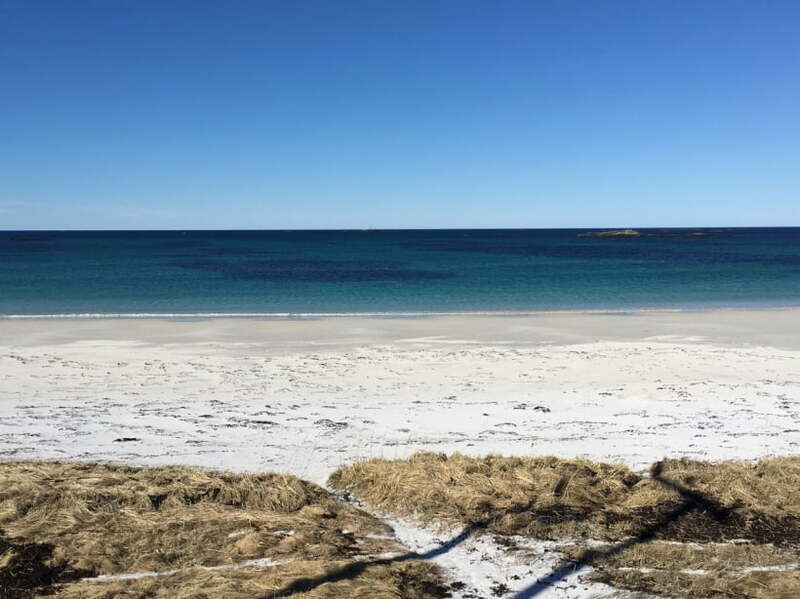 It's a long drive through a great deal of nothing to get to Bleik, but it's worth it for the spectacular beaches and scenic coastal walks. This particular picture was taken on an April morning. It's hard to believe I'm in the Norwegian Arctic, right? 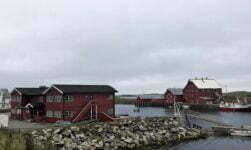 The distinctive red lighthouse of Andenes at the most northerly point of Vesterålen is now a protected site and a symbol of the town. Built in 1859 and automated in 1978, the lighthouse emits a light that can be seen up to 21 nautical miles away. 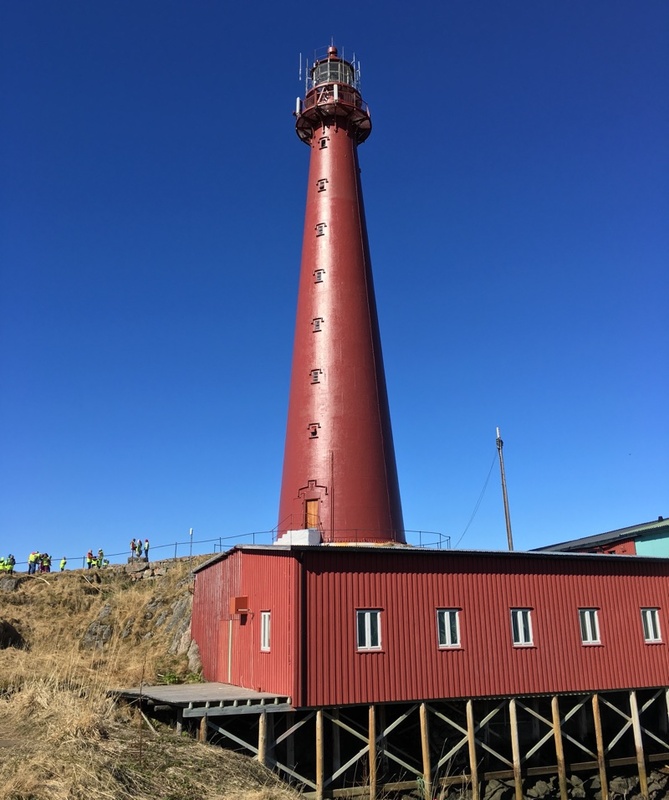 The lighthouse is only in use from August to April, because of the midnight sun. 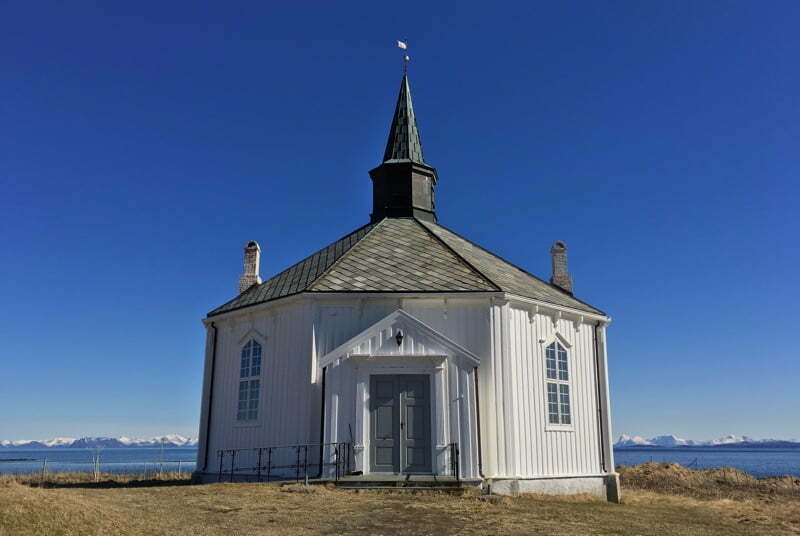 This old octagonal wooden church overlooks the water and beautiful beach at Dverberg. 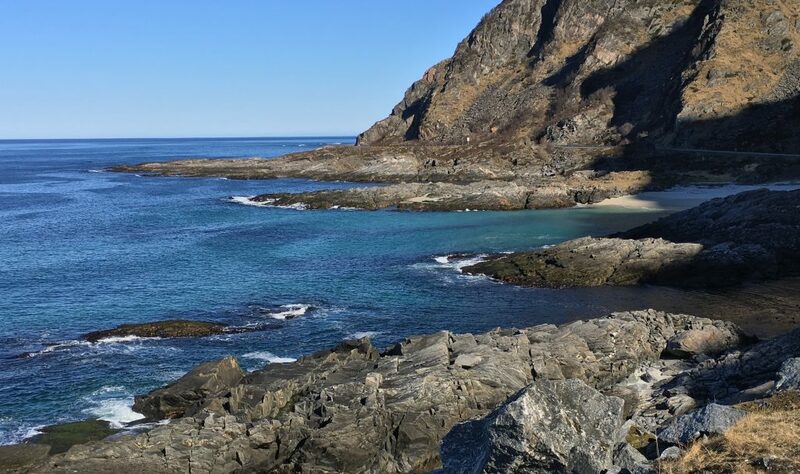 It's easy to see and pull over the main road that skirts the east of Andøya island. 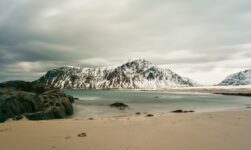 Given the mountainous terrain, most of the roads around Vesterålen are inevitably along the coast. Which means there's so many random places to stop the car, take pictures, or just relax with a picnic. My cousin Kjell and his family live in Melbu. I visited there in the ’80’s during the summer. It is beautiful and the midnight sun was a wonderful experience. My family was so gracious to have me and my friend, Janet. Terrific memories! !